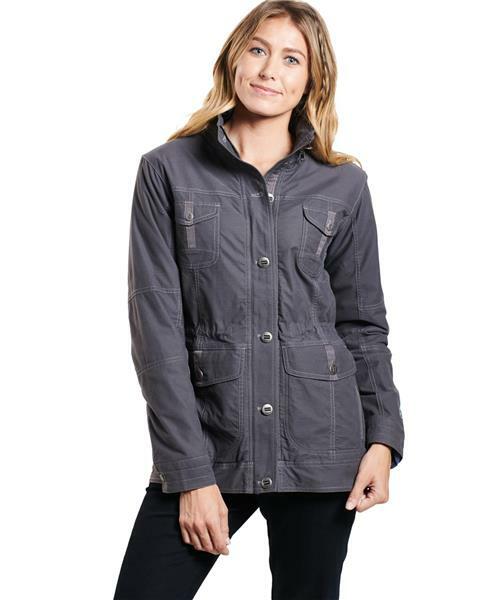 The Kuhl women's Rekon™ lined jacket features Kuhldry™, a two-layer, stretch fabric designed to keep you Kuhl and dry. The outer layer pulls moisture away from your skin while the inner layer breathes and dries quickly. The jacket is lined with 100% nylon.